The fightback continues for the US Sports Capper, with another 9 points profit made since our last update just over a month ago. That means they are now just 10 points down for our trial overall. Most of the bets are now on the baseball with the MLB season having started up again, but there is also some NHL and NBA action as well. Anyway, good to see the recent fightback and let’s hope it continues and they get back into positive territory for the trial overall. A slight improvement for the US Sports Capper lately, with a profit of 5 points made since our last update. That means they are now 19 points down for our trial overall. All of the bets at the moment are in the NHL, which is understandable given that the NFL and MBA seasons have finished. However, the baseball is due to get underway again in a few weeks so we may well have some bets in the MLB again soon. It’s been a tough start to our trial of the US Sports Capper, with 24 points lost so far. The vast majority of the tips so far have been on the NHL, with a few on the NBA. Maybe there have been some unexpected results in the NHL lately because the other US sports tipster we are reviewing at the moment, the Top NHL Betting Tipster, has also been struggling recently. In any event, it is early days so plenty of time to turn things around and get back on track. The popularity of US sports – particularly NFL – has grown considerably around the world in recent years. The Super Bowl for example attracts over 150m viewers worldwide and ice hockey is growing in popularity across Europe. And with the recent legalisation of gambling in some US states, all of this means there are now more opportunities to gamble on – and hopefully make a profit from – US sports. So on that note we are starting our second trial of a US sports tipster in the space of a week, after recently starting a trial of the Top NHL Betting Tipster. The trial we are kicking off today is of an all-round US sports expert, the aptly-named US Sports Capper. To us here in Europe the term “Capper” (or “handicapper”) is the US version of “tipster,” but whatever the parlance this pro certainly seems to know his stuff. Since starting tipping in September they have made an impressive 180 points profit – or £1,800 profit to £10 stakes. That has been achieved with a superb return on investment of over 47% and a respectable strike rate of over 30%. They mainly tip in baseball (MLB), hockey (NHL) and basketball (NBA), with the occasional tip in football. The bets are mainly in the match odds and handicap markets, meaning it should be fairly straightforward to follow. We started receiving tips on 14th January so will record results from then and will aim to run a standard three month trial with regular updates on this page. In the meantime you can check out the US Sports Capper here. We have been taking a look at Trade On Sports for a while now and there is a lot to take in about the service. It can be a little overwhelming at first and difficult to know where to start. However, the main feature at the moment in our opinion is their live “GameState Bot” which gives alerts at HT in football matches where it expects at least one more goal. This has been operating since the start of October and has made substantial profit since starting up. There are different ways you can follow the alerts, but it seems the most profitable is to put in a bet at the next goal up (so if it is 1-0 at HT, to back over 1.5 goals) at odds of 1.6, which on average gets matched at around the 65th minute if there are no goals up to that point. Following this method has produced over 22 points profit (or £2200 to £100 flat stakes), which is pretty good going. You can view full results for this here. They have a number of other bots in live beta testing which are showing promise. One in particular involves betting that there will be at least one first half goal and has already amassed over 50 points profit. There are also tennis bets sent out each day for players to lay and back and these are around 15 points up for the year so far. Overall then we have been quite impressed with Trade On Sports so far. The TOS Gamestate Bot has delivered very good profits so far and there is lots of potential in their other strategies under development. It still feels a little like a work in progress rather than the finished article, but the service certainly seems to be going in the right direction. Recently we have been spending more time looking at trading services rather than just tipsters and betting systems. That’s because increasingly we are seeing that trading offers some advantages over traditional forms of betting. Firstly, trading normally involves using the exchanges rather than the bookies, thus offering an attractive option for those who have had their bookie accounts restricted. Secondly, with pre-event betting it can be difficult to find an edge with markets being so efficient these days. But once you go in-running, events can unfold in fast and unpredictable ways, offering the potential for the shrewd trader to find value by reacting quickly to how things are changing. Thirdly – and in a related way – prices can fluctuate wildly in-running, meaning there is the potential to capitalise on these swings and make a decent profit from well-executed trades. So with those advantages in mind we are looking at a relatively new but promising trading service called Trade On Sports. The site is co-run by the respected Pete Nordsted, who some of you may know from his previous ventures including Premier Betting and numerous books on gambling he has published. Together with some professional traders Pete has put together a range of resources for sports trading. You can join each service separately or you can join the Platinum service and receive everything. As a member you get access to a wealth of data and statistics via their apps, chat groups on Telegram and alerts for in-play trades on the relevant sports covered. We have been following the service in a personal capacity for a while so decided it was about time we got a formal review going to record some of our findings and results. Apparently they have some new software in the works for tennis trading so hopefully that will be available soon. In the meantime though there is lots for us to get our teeth stuck into for the purposes of the review. We will report back here soon with our initial findings on the trading services on offer and results achieved. In the meantime you can check out Trade On Sports here. Things have slipped back slightly for Top NHL Betting Tips after their previous fightback, with a loss of 11 points since our last update a month ago. That means they are now 42 points down for our trial overall. As mentioned previously this is a high volume service and we have now reached over 500 bets proofed, which is quite a feat. However, so far the results have not lived up to the pre-trial billing, so things will need to get back on track for them soon. It’s been a good fightback for Top NHL Betting Tips recently, with a profit of 26 points made since our last update. Unfortunately though given the losses incurred previously they are still 31 points down for our trial overall, but at least they are moving in the right direction. This is a high volume service, with around 7 bets per day on average. We have seen prices are readily available though and can even be beaten using Betfair, which is a good thing. Anyway, let’s hope the recent progress continues and we have positive news to report at our next update. Well it’s been a shocking start to our trial of Top NHL Betting Tips, with a loss of 57 points made so far. That is actually more than the entire recommended betting bank of 50 points, which once again proves to be far too small of a bank. We could fail the tipster at this point but will given them the benefit of the doubt and see if they had advised a 100 point bank if things can be turned around. Either way it’s been a very disappointing start to the trial. This is something new for us here at Honest Betting Reviews – our first ever review of an NHL betting service with Top NHL Betting Tips. Hockey (or ice-hockey to us here in the UK) has been growing in popularity around the world, particularly in Canada, where it is the number one sport in terms of popularity and in Europe, where there are now 43 members of the International Ice Hockey Federation. The NHL is still the premier league in the world however and where most of the top players ply their trade. It has many gambling opportunities around it which have helped to increase its popularity. The season runs from October until June and there are 31 teams who compete over the 82-game campaign, meaning a lot of potential betting action. The service we are looking at here takes advantage of all this action with around 120-140 bets per month which works out at around 4 per day on average, although inevitably there will be more on match days and none on off-days. Since starting up in March last year, the service has apparently made an excellent 186 points profit, which represents huge growth of 385% on the 50-point bank starting bank. That is quite amazing growth to have achieved in less than a year. That has been achieved with a strike rate of 57% and a return on investment of just under 10%, which are very commendable figures. Most of the bets come in the main match odds market, with a few in the handicap market so it looks like this should be quite a simple service to follow. We started receiving tips on 14th January so we will record results from then. Without further ado we will get the trial underway then and let’s hope we see the kind of growth achieved to date repeated during our review. We will update results here regularly during the trial. In the meantime you can check out Top NHL Betting Tips here. It’s been a year since we started following Exponential Bet so we thought it would be a good time for an update on how they have been doing. We completed our original review back in February and awarded them a PASSED rating after they finished with a profit of 33 points at the end of our three month trial. So how have they have been doing since our review ended? Well, they have added quite a lot of new features and betting strategies since then – but more on that below. We will concentrate on their original “Dutch Betting” as that was what our original review was based on. Just as a reminder, their Dutch Betting strategy is basically a system where you are backing multiple horses in the same race, either in singles or multiples. It is a very high strike rate service and only takes a couple of minutes per day to place the bets. In terms of results, the Dutch Betting has continued to perform very well, with the bank for the Dutch multiple bets having increased from £1200 to £1400 since our review ended, with an amazing 95% strike rate. Their Value Dutch Bets and Singles are also showing a profit, which is good to see. So overall this is doing exactly what it says on the tin and continuing to slowly and steadily build a bank with very little downside and a minimal amount of work involved. We are happy therefore to maintain our PASSED rating for Exponential Bet’s Dutch Betting systems and feel that this is a service well worth checking out. As we mentioned earlier though, they have added quite a few new betting systems since our original review ended and these look very interesting. Their in-play betting system, for example, has made over £620 profit from just £10 bets with a 56% strike rate since starting up in March. Although still in beta version this looks very promising indeed and we will be starting a review of it shortly, so watch out for that. They also have football betting, betting bots and a Betfair Trading Guide all of which are showing a profit so far, so we hope to take a look at those in due course too. In the meantime it’s a firm thumbs up for Exponential Bet and we continue to be impressed by the profitability and level of service they provide. Exponential Bet is a suite of various betting systems for horse racing and football. The service is run by a guy called Ryan who has been a professional gambler for a number of years and he developed these systems after rigorous testing. The idea of all the systems – as the name of the website suggests – is to grow a betting bank exponentially over time by using progressive staking. Of course a staking system is only any use if the selections themselves are actually profitable – if they aren’t then no staking system can turn a losing approach into a winning one. But if the selections are profitable then using a progressive approach, where you bet a percentage of your bank each time, can grow your bank dramatically over time. For the purposes of this review, we were just looking at their horse racing dutching systems. In essence with these systems you are betting on a number of different horses in the same race at combined odds which are very low, often 1.1 – 1.2. So it is a little bit like laying the outsiders, but with better liquidity and not needing to lay at crazy odds of 100+ which you need a lot of funds to do. So how did the laying systems get on in our trial? Well are pleased to say they did very well, churning out a solid 33 points of profit overall during our three month review. All of the four systems ended in profit which was good to see and the strike rate was extremely good at 93%. The service utilises an unusual method of betting that involves using the BSP multiples service, which is on the old Betfair interface. It can take a little getting used to but there are instructions on the Exponential Bet website. One of the problems with using BSP multiples is that it doesn’t record your bet results in your Betfair bet history, so it can be a little more work than usual keeping track of your results. But Ryan updates you daily by e-mail so that helps with things. One point to bear in mind is that if you are following all four of the dutching systems then you will need four separate betting banks, so make sure you have enough funds available to do that. Overall though we were impressed by the service and can see that over time the banks could really grow. We are happy to give this a PASSED rating based on our three month trial and will keep an eye on things to see if the banks do continue growing over time. Ease of use: As we say, placing the bets takes a little bit of getting used to but once you have got the hang of things it shouldn’t take too long each day to place the bets. The selections are usually sent out late morning and then you just go to the BSP multiples page and it takes a few minutes normally to place the bets. Availability of prices: As you are using the Betfair SPs, there is no issue with getting the prices as everyone will of course get the same prices. Strike rate: The strike rate during the trial was 93%, which is excellent and means losing runs should be minimal with this service. Advised Betting Bank: Different banks are advised for each service, but normally you are betting between 5% and 10% of your bank each time. Subscription costs: The subscription costs for the four dutching systems (including the new Super Dutch system) are £29.99 per month, £148.99 for 6 months or £268.99 per year. Exponential Bet’s Dutching Systems take an unusual approach to betting, but in a way we like that. It is tough to make a profit these days if you are just using age-old form reading, so we tend to favour approaches that take a different angle. The results during our trial were solid, with 33 points profit made with a very high strike rate of 93%. We can see that if those results were maintained in the long run, you could really build a bank in an exponential fashion like the service aims for. So it is a PASSED rating from us and one we will keep monitoring to see if they can indeed continue to build those banks. Exponential Bet continues to make steady progress, adding another 6 points of profit since our last update. That means we are now 16 points up for the trial overall across all the different dutching systems. Please note at the bottom of the results spreadsheet you can see tabs for each of the dutching systems – D1, D2, D3, D4 Multiples and D4 Singles. Good to see things moving along nicely here and if that continues then stakes will steadily build and the bank will grow towards some exponential returns. Things have continued on steadily for Exponential Bet, which is what it is all about really. Since our last update we have made another 6 points profit across all the systems, meaning we are now 10 points up in total. Please note at the bottom of the results spreadsheet you can see tabs for each of the dutching systems – D1, D2, D3 and D4 Multiples. It takes a little bit of getting used to in terms of placing the bets and tracking results but we think we have the hang of it now. Good to see the positive progress here and let’s hope it continues long term. It’s been a little bit of a quiet start to our trial of Exponential Bet, although we are in profit so far. We have been following the tips since 1st November and across all the horse racing dutching systems, we are 4 points in profit so far. The idea behind Exponential Bet is to place dutch bets so that you are covering multiple eventualities in the same race. Plus you are using progressive staking, so you are using a fixed percentage of your bank (e.g. 10%) on each bet to hopefully grow your bank over time more quickly than if you were using fixed staking. If things go really well then the banks should grow exponentially – hence the name of the service. It uses an unusual method of betting that involves the BSP multiples service, which is on the old Betfair interface. One of the problems with that is that it doesn’t record your bet results in your Betfair bet history, so it can be a little more hard work keeping track of your results. Anyway, a solid start from Exponential Bet and hopefully the bank growth will continue. Here at Honest Betting Reviews we are always on the lookout for new and innovative approaches to betting. Let’s face it, in this information age we live in, if you just go through old-school form reading to try and pick your bets, you are probably going to struggle. You need to try and find some kind of new angle, a different approach to those being used by the vast majority of punters. So when we were approached by a chap called Ryan lately about his new betting strategy, it piqued our interest. Ryan runs the Exponential Bet website and his specialist approach to betting is to concentrate on growing a betting bank exponentially by using an incremental staking system. Whilst the focus is on protecting the betting bank, the goal is to start with an initial betting investment and grow it into a substantial sum. The staking system is built in to the betting systems themselves. This means that growing each betting bank is made as simple as possible for members of Exponential Bet. Ryan uses his own betting and trading strategies as the basis for the service. These are the same strategies that he has developed over a number of years as a professional gambler to make a substantial income for himself. He began developing his betting seriously back in 2009 and ran a betting website previously. In mid- last year Ryan decided to introduce his exponential betting systems, and added a PDF ebook to ebay to test the water. Surprised at the take up of the product he then launched the Exponential Bet website last November, only recently adding a subscription service. The results published on the website look highly impressive, with one of the systems showing a 296% bank growth in 2 months and another showing a 617% bank growth in 8 months. Those results have been achieved with a very high strike rate that allows the bank to increase significantly on long winning runs. In case you aren’t aware, there is a full guide to what dutching is here, but basically it is where you back multiple selections in the same race or event. This gives you a greater chance of finding the winner but obviously also reduces your potential profits. In essence it is about reducing the margin for error. This looks like a really interesting approach to betting and we are looking forward to seeing how it gets on during our review. Our trial will commence on Tuesday 31st October and will run for three months as standard. We will update results here regularly so you can see how things are going. In the meantime you can check out Exponential Bet here. If you had said a few years ago that you would have stadiums full of people watching people play computer games, you would have been laughed at. Fast forward to today and amazingly, that has become a reality. eSports – or in other words competitive sports video games – has become big business. This year it is estimated to be worth $700m and by 2020 it is forecast to be worth $1.5bn, quite astonishing sums. Perhaps just as astonishing is the fact that you can now bet on eSports as well. 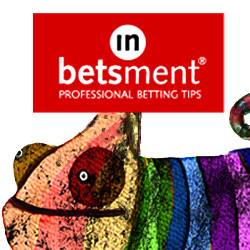 Yes – the bookies offer markets on it and there are even tipsters offering tips on it. So we decided to take a look at our first eSports service in the form the eSports Betting Tipster. Unfortunately though after a strong start and going over 40 points up at one stage, we ended up 28 points down in the end for the trial. That represented a 28% loss of the bank and represented a negative return on investment of -9%, so all in all it was a disappointing review. As you can see from the graph below, things were going well up until around the half-way point, at which they took a decided downturn and ended up in loss. In these circumstances we feel we have no choice but to give the eSports Betting Tipster a FAILED rating based on the results of our trial. If things turn around and they start generating a profit then there would always be scope to revise our findings, but for the moment it is not a service we will be adding to the portfolio. Ease of use: There are an average of just one bet per day, so a very easy service to follow. Availability of prices: Not all the bookies offer odds on the matches in question but there are generally a few (e.g. Bet365, Sky Bet, William Hill) so you should be able to get the bets on at the advised prices or close to them. Strike rate: The strike rate for the trial was 28%, which was a little below the long-term average of 33%. Advised Betting Bank: A 100 point bank is advised for following the service, but we think given some of the drawdowns experienced and high staking, a 150 point bank might be advisable. Subscription costs: The subscription costs are very reasonable at £1 for the first 10 days then £20 per month, £50 per quarter or £180 per year. eSports is an increasingly popular form of entertainment and you can now even bet on live events. The eSports Betting Tipster is the first service we have reviewed in this new field but unfortunately the trial finished with a loss of 28 points. On that basis and have lost over a quarter of the bank, it is a FAILED rating from us, but as ever if things dramatically improved we would always be prepared to take another look. Unfortunately there’s been quite a drop in performance for the eSports Betting Tipster lately, with 59 points lost since our last update a month ago. That means they are now 27 points down for the trial overall. The recent drawdown is a shame because things had been going so well, but that is gambling for you really – it can be very unpredictable. Let’s hope that was just a blip and they get back to winning ways shortly. The e-Sports Betting Tipster continues to deliver the goods, with another 13 points profit made since our last update. That puts them 32 points up for our trial overall. Staking is quite variable with this one, with everything from 1 to 10 points being advised per bet. So making sure you have a sufficient bank to cover the staking is important. They recommend a 100 point bank when following the service but we think you could actually go to a 150 point bank here to be on the safe side. It’s been a good start to our trial of the eSports Betting Tipster, with 19 points profit made to advised prices after just under a month. We had been wondering how easy the service would be to follow as we are now to betting on eSports (and eSports in general), but we haven’t had any issue so far really. Not all the bookies offer odds on the matches in question but there are generally a few (e.g. Bet365, Sky Bet, William Hill) so you should be able to get the bets on. And the tips come with the recommended bookie to use as well. So really whilst you may know nothing about the action you are betting on, it shouldn’t stop you from making a profit from following this service. So enter our next tipster to be reviewed, the aptly-named eSports Betting Tipster. Competitive odds and tips sent every morning in tournaments such as League of Legends, Overwatch, Dota 2 and CS:GO. The tipster’s record is very impressive, with over 180 points profit made since starting tipping in November 2017. That equates to over £1,800 at just £10 stakes and means the betting bank has been nearly trebled in that time. The return on investment is excellent too at over 40% and the strike rate has been solid at 35%. It will be interesting to see how this all works in practice and it will be something of a learning experience for us too. We will run our standard three month trial and will report back soon on how things are going. In the meantime you can check out the eSports Betting Tipster here. Well this has turned out to be one of the shortest reviews we have done in the history of Honest Betting Reviews, as Sports Betting Pays have decided to rather abruptly pack things in and discontinue their service. “This is the last send out for SBP so a quick recap. Despite the good end, results weren’t great as a whole since August. I’ll be the first to hold my hand up to that. I can look back at what ‘seemed’ to be a few more cases of not getting the rub of the green than getting it but then again, that’s betting. I hope that at least you will have become acquainted with a few somewhat more unusual markets that can be worth playing, will have seen the thinking behind some bets, understood the value of holding accounts with different betting companies and learnt a bit about the betting game in general. We hadn’t seen that coming, particularly as results had actually been good since we started our trial, with a profit of 9 points having been made. For what’s it worth, you can view the full results here. But obviously James must have felt that the results overall since the service started weren’t good enough to warrant continuing. So unfortunately we have to wrap up our review there and put this one in the “defunct” pile. A shame as we thought it had potential but it just shows you once again how hard it is to make a long term profit in betting and how valuable those profitable long-term tipsters are. Today we are starting a trial of a new service called Sports Betting Pays which is run by a guy called James Pacheco. James worked at Betfair for nine years, when he featured on their sports radio station and was the founding Editor of Betting.Betfair, the excellent website that specialises in discussing betting opportunities on Betfair markets. He has now left the bookmaker industry and is a full time sports bettor, specialising in football and cricket. Apparently James has been betting on Football markets for 20 years and he typically bets on the teams that he watches. He takes stats into account but also his expert eye to supplement the raw numbers. In terms of his cricket betting, he spent two years ghostwriting a Betfair column for former England captain Michael Vaughan. This knowledge along with detailed stats and 1,000’s of hours watching matches he is able to find value in the markets he bets in. James proofed his bets for 7 months at the Betting School Insiders Club, where they were available to all members for free. And once a week at the Daily Punt website, where again they were available to thousands of readers for free. His tips resulted in a fully proofed strike rate of 40.6%, an ROI of 29% and a profit of £910, which are pretty commendable numbers. Whether those results can be repeated under a live trial here at Honest Betting Reviews remains to be seen, but it certainly looks promising. So without further ado we will kick off our review and will report back soon on how things are going for James. In the meantime you can check out Sports Betting Pays here. Sports Spread Betting is the first spread betting service we have trialed here at HBR and wow, what a trial it has been! They have absolutely smashed it, racking up an awesome 751 points of profit to 1 point per pip stakes. For the trial I used £1 per point so that worked out at £751 profit, great stuff. It’s not really possible to give an ROI figure for this service as with spread betting you are risking variable amounts and just using £1 per bet wouldn’t give a realistic figure for the ROI. However, we would say that making over 750 points profit with just 1 point per pip is a great result and represents a strong level of return. The strike rate was also very good at 51%, so over half the bets won. As you can see from the graph below, apart from a small deficit early on, it was plain sailing through the rest of the trial. You will need a spread betting account to follow this service. We can recommend Sporting Index, who currently have a £100 offer for new customers for seven days to get started. (18+, T&Cs apply). Sell ‘Distances 1-3’ at 75. So very easy to follow – just find the race meeting, click on sell for “Distances 1-3,” enter your stake and you are done. Couldn’t be much simpler really. Overall we have been super impressed with Sports Spread Betting and this is definitely a PASSED rating and one we will be adding to our portfolio. Don’t be put off by the slightly amateurish-looking website, this is a top quality service and one of the best we have trialed in some time. Ease of use: A very easy service to follow, with an average of 1.5 bets per day. Tips are sent out in the morning with usually a couple of hours before racing starts, so a little tighter than we would like ideally but then they are limited to when the markets are formed by the spread betting companies. Availability of prices: It can be tough to match the advised prices, as they often move as soon as the tips are sent out, particularly the football “completed passes” bets. Our results are the actual prices we achieved, so Max’s (who runs the service) official results are actually a few hundred points better than ours. But you should have no problem matching our results or get very close to them. Strike rate: The strike rate during the trial was 51%, a solid level with more than half of bets being winners. Advised Betting Bank: We used a 1000 point bank for following the service, which should be sufficient and was never in danger during the trial. Subscription costs: The subscription costs are just £25 per month, which is an absolute steal really if you consider the results achieved. There is also a profit guarantee such that if you don’t make 25 points profit in a month then they promise to give you a full refund. Can’t say fairer than that can you really. Spread betting is quite a niche approach compared to the more mainstream fixed-odds markets, but that doesn’t mean there aren’t opportunities to make a profit from it. Maybe even more so given that there is less attention paid to it and less professional money. Certainly Sports Spread Betting has shown itself to have a profitable angle, amassing an excellent 751 points profit during our trial. That is highly impressive stuff and represented a 75% growth of our bank. So we have no hesitation in awarding it a PASSED rating and is one we will continue to follow with our own money. At just £25 per month it is an absolute steal compared to some of the more inflated prices you see from tipsters these days – and it comes with a profit guarantee as well. It may well be worth getting on board quickly before prices potentially go up, which they surely will do if the results continue in the same fashion. Sports Spread Betting has been in excellent form, adding another 269 points of profit since our last update. That means we are now 733 points up for the trial overall, which is top quality tipping. It is very difficult to match the advised prices on some occasions, even if you place your bets as soon as the tips are sent out. That was particularly evident with some of the football bets on completed passes this week, which had moved 30 points from the advised prices. However, even allowing for these price movements we are still 700 points in profit so can’t have any complaints really. Things have taken a small step backwards for Sports Spread Betting since our last update, with a loss of 131 points having been made in that time. However, we are still a healthy 464 points in profit for the trial overall, which is very good going. We took a heavy hit over the weekend with total goal minutes on the Premier League matches and completed passes in the Arsenal game going against us, which cost us the best part of 200 points. However, we recovered some of those losses on the Champions League last night, so let’s hope we are back on track. As we say, overall we are well in profit so that is most commendable. We are very impressed with Sports Spread Betting so far, as it continues to rack up the profits. We have made a further 425 points profit since our last update, meaning we are now 595 points in profit in total for our trial. These are very good results and we are really liking this service so far. We mentioned last time that we would attempt to shop around for better prices, so we opened an account with Spreadex. It has helped a little bit with prices, but it doesn’t have some markets (like distances 1-3) and its prices still tend to get moved in as well. In any event, even accepting small reductions in prices from those advised, we are still well in profit so can’t complain really and overall this has been excellent. Back soon with more updates. It’s been an excellent start to our trial of Sports Spread Betting, the first spread betting service we have reviewed here at Honest Betting Reviews. Since we started following the tips on 23rd August, we are 170 points in profit. The service specialises in horse racing, football and cricket and there are normally just 1-2 bets per day. The prices on some of the selections – particularly the horse racing – get moved in quite significantly by the time the tips have been received and we got to placing our bets, sometimes by 5 or 6 points. So for example whilst we have made 218 points profit in September so far, the tips at advised prices have made 260 points profit – so over 40 points difference. However, this has mainly been on the horse racing, where as on football and cricket prices tend to hold up better – probably because they are bigger, more liquid markets. We have just been using Sporting Index so far during the trial, so will try some of the other spread betting companies like Spreadex and Sports Spread to see if we can mitigate the price contractions somewhat. In any event, even losing a few points on some of the tips we are still well in profit so can’t have any complaints and this is looking very promising so far. Here at Honest Betting Reviews we are inundated with requests to review various betting systems and tipsters. Lots of these are similar to systems that already exist or are even direct copycats. Many others are new tipping services, of which there are now literally hundreds. So what we really like to see is something new and different – someone who comes along and takes a slightly more nuanced approach to the gambling game. Earlier this week we were approached by a chap called Max and we were pleased to see that he has a slightly different approach to making money betting from the hundreds of others we regularly see these days. His focus is to spread bet on a number of different sports and his website is called – quite appropriately we would say – Sports Spread Betting. It is quite surprising when we think about it that there aren’t more spread betting tipsters and systems out there. In fact, we think this may well be the first one we have ever come across! For sure, fixed odds betting is much, much bigger amongst the punters than spread betting, which is more niche and tends to be more associated with financial trading. However, that isn’t to say you can’t make money out of it. A story you may have heard us recount here at Honest Betting Reviews is that of an accountant we once knew who managed to devise a system for betting on corner supremacy bets with the spread companies. He realised there was a systematic error to the way the spread betting companies were pricing up their corner markets. We never found out the exact formula, but apparently they would put too much emphasis on the superiority of one team over another rather than the way they played. This chap took a very large amount off the spread betting companies (we understand it was over six figures in total) before they shut down his accounts. The point of the story is that you can make money from this form of betting and indeed, given its more niche status, there may be more unexploited angles than in fixed odds betting, which has become such a mass market now, it seems all the easy opportunities to make money are gone. Anyway, back to the service in question. Sports Spread Betting focuses on three sports primarily – football, horse racing and cricket. The service concentrates on a small number of the spread betting markets and uses a wealth of statistics that Max has built up over the years to pinpoint value trades. As a member you receive an e-mail each day with Max’s selections, together with the price and some of the thinking behind the bet. It costs £25 per month to sign up, which seems pretty reasonable compared to some of the services we see promoted around the internet these days. And in addition it comes with a profit guarantee – so if he doesn’t make at least 25 points profit from his selections in a given month, he says you will receive a full refund. A very good offer indeed! Please be aware, if you are thinking of joining up, of the disclaimer on the website that due to spread betting being regulated by the FCA, Max is not allowed to be seen to be giving advice (as he is not regulated in this capacity). The selections that he sends out via email will be simply the selections that he is putting his own money on each and every time. It is then up to you if you decide to copy him on those selections. Right, now we have got the small print out the way, it is time to get on with the review. Max aims to make around 100 points profit per month, so a pretty achievable target we would say. Obviously as ever, it remains to be seen whether this will be achieved during the trial, but we will find out either way. So without further ado we will get the trial underway and will report back soon on how things are going. In the meantime you can check out Sports Spread Betting here. It’s only just over a week since our last update on the 10x Method but sadly things have only got worse in that time. In our last update we reported that we were well down for the second cycle, as we had been for the first. Well last weekend we stopped receiving any e-mails from Matt at all. And we received no response from him to a number of requests for an update on what was going on. Amazingly though, Matt feels it is ok to keep bombarding us with marketing e-mails for other betting systems. No it is not ok! We expressed scepticism at the outset of the trial here and that has been proved correct. This was clearly just a scam to get people’s e-mail addresses and market other systems at them. We have no hesitation therefore in awarding the 10x Method a big fat FAILED rating! We really don’t understand the thinking behind this kind of scam – we can’t imagine anyone is still signing up to the garbage he is promoting. Yes he may have made a quick buck but now everyone who joined is forewarned not to sign up to anything from Matt Storey or anything similar to this again. It’s a shame schemes like this are able to operate but then that’s the wild west of the internet and it’s the very reason we set up this website, to point out scams like this to people. We are well into the second cycle of the 10x Method, a system that tries to turn £100 into £1,000 in just 18 days. Unfortunately it is going just as badly as the first cycle did. Not only are we failing to increase our original bank toward the 10-fold target, we are actually down – about 45% in fact. It is very disappointing given all the hype that preceded the launch of this system. It shows once again the importance of not believing marketing hype but instead waiting for a full and transparent review like we do on this site. There are too many things about this service that trouble us: the wide range of sports tipped in (and how difficult it is to succeed when not specialising in just one or two sports); the use of just one bookie rather than looking for the best price; errors in the tips e-mails; constant marketing of other systems and just a general sense of not seeing where the edge is coming from. All the excitement, all the hype. The optimism after a good start. Then crash. Down to earth with a thud. What can we say really? Sadly the 10x Method has failed its first attempt at turning a £100 bank into £1,000, with a net loss of £62 and Matt giving up on this cycle to prepare for the next one, which will be in November. According to Matt, the main reason for the failure was “there were some very poor picks by me.” Well we were hoping for something a little more insightful than that, but that is it in its simplest form we suppose. We were surprised by how many multiple bets there were as part of the challenge, as these are notoriously poor value (hence the bookies having so many offers based around accas). The only small positive here is that Matt is offering the next cycle for free for members who signed up for the October one. In fairness, a loss of £62 is not the end of the world – we have seen tipsters with far worse results than that. It is just that there so much hype around this, expectations were probably set too high. If Matt had just set up a standard tipster with a long term goal to make money and not this 10x challenge, he probably wouldn’t have so many disgruntled members. Anyway, onto the next cycle in November. Let’s hope we can make a profit on that one. We normally wait a few weeks or even a month before doing an update on a new review to give the system a chance to establish a decent body of results. Given the high level of interest in the 10x Method however – plus the fact that each cycle is only 18 days long – we thought we would give an early update on how things are going. Just a reminder in case you are not aware, this is a challenge to try and turn a £100 starting bank into £1,000 in just 18 days. Sound impossible? Well seemingly not for the man behind this system, Matt Story, who claims to have successfully managed it in nine of the last ten times he has tried. We are now one week into the first cycle, so how are things going? We are pleased to say that things are going well so far. The bank has increased to £144, which might not sound like much, but is actually a 44% increase, something which takes some services a whole year! We have recorded the prices we have been able to obtain in the results in addition to the advised prices as Matt only uses Betfair Sportsbook so we think there is a chance to actually beat his returns by using a variety of bookies plus the exchanges. So far it is about even but we will see how that develops over the remainder of the trial. The bets are in a variety of sports and there are lots of multiples, everything from doubles and trebles to patents and the like. The thing to remember with a challenge like this is that it can seem like everything is moving along slowly early on as you try to turn £100 into £200. But towards the end it can suddenly move very quickly and you can turn £500 into £1,000 just as quickly. Anyway, we are pleased to be in profit so far and with a little more luck we could actually be over £200 by now. We were initially skeptical about this but Matt does seem like a genuine guy who does a lot of hard work finding his bets and it is looking like hitting the £1,000 could actually be possible. Even if we don’t hit the £100 then we could still end up with a decent profit, which would be nice. So we hope that has given you a bit of a sense of how the 10x Method is going so far but we will report back again soon on how things are progressing for it. We have been receiving a lot of e-mails recently about a system called the 10x Method. This is from a chap called Matt Story and he claims that he has been able to turn a £100 starting bank into £1,000 in 18 just days. He says he has done this successfully in nine of the last ten times he has tried. The other time he didn’t manage it, but still turned £100 into £200, so made a profit. It sounds a little too good to be true, however we are intrigued enough by the possibility to give this a go and see how it gets on. The first 18-day cycle will begin on 6th October and the good news is that you still have time to sign up before then. Perhaps you could just see how the bets get on for the first 18 days and not wager anything. The system is covered by a 60-day money back guarantee so it seems like there isn’t much to lose. Just to note that if you are interested in giving this a go yourself, the first 50 people who sign up get a £50 discount and we understand that not many of those places are left. We will run a three month trial and will update results here periodically – ideally every 18 days – so you can see how things are going. So let’s hope we have a few 10x bank growths during our trial! Either way it will be fun to see how we do. In the meantime, you can check out the 10x Method here. Here at Honest Betting Review we like to update the progress of tipsters we have reviewed and not just forget about them after our initial three-month review. So we have been continuing to monitor the results of multi-sports tipster Great Bets since our original review ended back in February. Just to recap, Great Bets made 827 points profit during our original trial and received a passed rating and 4.5 stars. We have now been following the tips for a full year so thought it would be a good time for an update. So in total that’s an additional 584 points profit since our trial ended and 1,411 points profit in total for the 12 months we have been following the tips. That’s an excellent total and we are happy to maintain our PASSED rating here. Apart from a tough month in July, they have been remarkably consistent. We always stress the importance of long-term results and Great Bets is showing that long-term edge. We will continue monitoring results and will update things again at regular intervals. In the meantime you can check out Great Bets here. Great Bets is a multi-sports tipster with a focus primarily on horse racing. It is run by a guy called Martin who has been betting professionally since he left university more than 10 years ago. Over time he has developed a system of rules that allows him to pick winners with a high degree of accuracy. He recently decided to share this approach with the public via his website. We have been following the bets for three months now and are pleased to report that they have performed excellently under live trial conditions, producing 827 points profit to advised prices. A little bit of a rollercoaster ride, but overall a strongly positive graph that finished well up. We should point out that average stakes during our trial were around 15 points, so the profit would be around 55 points profit to 1 point level stakes. The total is still very impressive however and meant we more than doubled our bank during the trial, increasing it by an astonishing 165% in three months. That is one of the highest totals every recorded here at Honest Betting Reviews and the best for a while. We enjoyed a strong strike rate of 32% during the trial and a commendable return on investment of 14%, which is a pretty good ratio to have between those two metrics. At Betfair SP, results were also very good, with 556 points profit made, which is the equivalent of around 37 points profit at one point level stakes. As you can see, horse racing bets make up a large majority of the bets. All in all there is a great deal to like about the service and we have no hesitation in awarding Great Bets a RECOMMENDED rating. Ease of use: There are around 4 bets per day on average, so the bet volume is a little higher than most services. Tips are normally sent out in the morning with plenty of time to get the bets on. Availability of prices: Although there was a bit of a difference between the advised prices and Betfair SP results (i.e. a 33% difference), we did not see huge pressure on prices after they were sent out, but more often a gradual move down in some cases. So it should be practical to follow and even at Betfair SP you should still make a good profit. Strike rate: The strike rate for the trial was 32%, which is a good level and should mean the losing runs will be manageable hopefully. Advised Betting Bank: They advise using a 500 point bank with their advised staking of between 10 and 30 points, which was sufficient for the trial, although we were over 200 points down at one stage and the 500 point bank might come under pressure if there was an extended drawdown. We think a 750 point bank would give you a bit more peace of mind. Subscription costs: The subscription costs are £25/week, £99/month, £249/quarter, £459 for 6 months or £849 for 12 months. Whilst these appear high on the face of it, for what you are getting they are well worth it. With a massive 165% growth of the bank over the trial, Great Bets has positively smashed it and is one of the best trials we have experienced for a while. A very tasty 827 points profit were made, which would be £578 after subscription costs if you were betting at £1 per point, or £3,886 if you were able to bet at £5 per point. The results published on the website for the period prior to our trial are mighty impressive too, with over 2,500 points profit made and 11 profitable months out of 11. Some people may balk at the high subscription costs, but for once in this industry we can see that they do seem justified given the results achieved to date. The advantage of having the subscription costs at this level is that it should protect prices for the elite group of subscribers lucky enough to become members. If you are serious about your betting, we can highly recommend joining that elite group of Great Bets members. You can sign up to Great Bets here. More profits for Great Bets since our last update a month ago. They have added another 155 points profit at advised prices, bringing them to 658 points up for the trial overall. At Betfair SP, we have added another 140 points of profit to stand at 402 points up overall. Just a reminder that the staking here ranges between 10 and 30 points per selection, worth bearing in mind when looking at the points total, which are still excellent. Things continue to go very well for Great Bets, a multi-sports tipster. They have made a further 268 points profit since our last update, bringing them to 503 points up overall. At Betfair SP they have added 262 points profit to be 307 points up so far. The good news is that they are now offering a completely free 7 day trial, with no paypal or credit card details required. Looks well worth a go based on what we haves seen so far. It has been a good start to our trial of Great Bets. After one month of following the selections, we are 235 points up at advised prices and 45 points up at Betfair SP. There are quite a large of number of bets, with 142 so far. Most of these are in horse racing, with a few bets in football and tennis. Staking varies between 10 and 30 points, with more of the latter lately. So far the results are living up to those prior to the trial, which is promising. Anyway, back soon with more updates. We are commencing a new trial today of a promising sports tipster called Great Bets. Having a look at their past results, they have apparently made over 2500 points profit since commencing tipping in March 2016. They tip in a variety of sports including horse racing, football and tennis. The service is run by a guy called Martin, who says he left university in 2002 and over the last 10 years has made a profitable income from betting online. He is clearly a huge sports enthusiast and follows events from all over the world. Having developed and refined his betting strategy over a number of years, Martin is now ready to share this system with the public via the Great Bets website. The good news is you can get a 7 day free trial with no credit card or Paypal details needed, to see if this is a service for you before signing up to one of the longer memberships. We are always on the lookout for new tipping talent so we are looking forward to seeing how this one gets on under the spotlight of a live trial. So we will kick off a three month trial and see how Martin performs. Please note that we started receiving tips on 28th October 2016 so we will record results from then onward. We will return soon with our first update on how things are going. In the meantime, you can check out Great Bets here. Hat Trick Hero is a mixed sports tipster that provides one treble bet per day. Most of these are in football but they also cover a range of other sports including tennis, basketball, baseball and more. We have followed the service for an extended period of six months so have had a good chance to see if it could deliver the goods. So how did it get on? Well things started off pretty well and we did go 14 points up at one stage, but eventually in the end we finished the trial 5 points down. Using a 50 point bank to follow the service that represented a 10% loss of the bank, not terrible but not brilliant either. So overall we think Hat Trick Hero is deserving of a NEUTRAL rating. It made a small loss but nothing to get too concerned over. Ease of use: A super-easy service to follow with just one treble per day, so it shouldn’t take longer than a few minutes to place the bet each day and you are done. Availability of prices: We didn’t have any trouble getting the advised prices. Anthony who runs the service gives prices from a range of bookies so you can see which price to take if the best one isn’t available. Strike rate: The strike rate during the trial was 29%, which is solid enough but ideally would need to be a little higher to turn a profit at the average prices of selections so far. Advised Betting Bank: We used a 50 point bank for following the service, which seemed reasonable given the strike rate and was never in jeopardy. Subscription costs: The costs to sign up are £1 for 30 days then £39.95 per month, £99 per quarter or £479.95 per year. Hat Trick Hero is a nice simple concept of a treble bet each day on a variety of different sports. The trial started off well and went nicely into profit, but gradually things slipped over the remainder of the trial and we finished 5 points down in the end. Although that was a loss, it was only a small one so we think a NEUTRAL rating is fair for Hat Trick Hero. Not a service we will be adding to our portfolio at the moment but one to keep an eye on in any event. We seem to be saying this a lot lately – but is has been a tough time for Hat Trick Hero since our last update. Yes it seems a lot of tipsters are struggling in their trials at the moment unfortunately. Multi-sports tipster Hat Trick Hero has lost 19 points since our last update, putting him on 7 points down for the trial overall. We aren’t sure why so many tipsters are struggling at the moment, must be just one of those strange periods that happen occasionally. Hopefully things will pick up soon, both for the Hat Trick Hero and for other tipsters are are trialing. Not a great deal of movement for Hat Trick Hero over the last month, with just 2 points lost in that time. That means we are now 12 points up for the trial overall. It was a particularly good week last week with three trebles being hit, so hopefully that is a sign of the service getting into its stride with the new footy season getting away. Hat Trick Hero continues to tick along nicely, with another 5 points of profit made since our last update a month ago. That means we are now a solid 14 points in profit for the trial overall. Just a reminder this is a mixed sports service that provides a daily treble bet and that is it – so nice and simple to follow. Let’s hope things continue in the same vein for Hat Trick Hero. Hat Trick Hero has been on a good run since our last update three weeks ago, notching up 9 points of profit in that time. That means they are also 9 points in profit for the trial overall. It’s a really easy service to follow, with just one bet per day – that being a treble. So far so good then for Hat Trick Hero. Not much change for Hat Trick Hero, with just 1 point lost since our last update a couple of weeks ago. That means they are now level for the trial overall. So a quiet start for Hat Trick Hero, hopefully we will see things take off now. Hat Trick Hero is a multi-sports tipster that bets solely on trebles – just one treble a day to be precise. It is a super-simple service to follow and so far has had a quiet start to our trial here at Honest Betting Reviews. After just over a month of proofing the tips, we are 1 point up to advised prices. So nothing too dramatic either way so far for the Hat Trick Hero, but let’s hope we have more positive news to report at the time of our next update. Regular followers of Honest Betting Reviews will know one of our favourite services is the tipster platform Betting Gods. They have provided some of the best tipsters we have come across, including Quentin Franks Racing, Master Racing Tipster and the Golf Betting Expert. However, it has been a while since a new tipster made it through Betting Gods’ rigorous proofing process and made it onto their website. Such are the difficulties of making money from betting that whilst many will try, the cold hard statistics are that only around 2% will manage it. The good news though is that one tipster has made it through the gruelling testing process at Betting Gods and is now live on the site. The tipster in question is called Hat Trick Hero and has a very impressive-looking record. The tips come in a range of sports, mainly on football but also on US sports and tennis. Although you may be forgiven for thinking the tips are bets on people to score hat-tricks in games, it is actually all about treble bets. Each day you receive one treble bet to place and that is it. So a very easy service to follow and a simple to understand. You are given a range of bookie prices for the bet, with the best available and the next best two, so you should have a good chance of matching the advised prices or getting close to them. As we mentioned, the results so far are very impressive, with over 80 points profit made to 1 point level stakes on each treble since starting the service on 1st January this year – or over £800 to just £10 stakes. That translates into an awesome return on investment of over 84%, which means for every £1 invested in the service, you would have made 84p profit so far (plus of course got your £1 back!). As with all Betting Gods services, you can get the first month’s tips for just £1, which is a good way of testing the service for yourself. We have been proofing the tips for a week now, so we will record results from when we started receiving the tips and run our normal three month trial. We will report back soon on how things are going for the Hat Trick Hero and hopefully it will be positive news. Until then, you can check out the Hat Trick Hero for yourself here.